This week we have seen Theresa May head to Europe to dine with EU leaders, following a long summer spent attempting to win over world leaders. Her efforts at schmoozing her political opponents and allies have had mixed results – much like the reception to her dancing prowess. Contributor Jo Sellick – Sellick Partnership. But now is the time for real action, with Brexit almost exactly six months away and very little progress made thus far. It has felt like our prime minister has been napping through the past year, with the odd statement claiming to be pushing for the best possible deal belied by recent government reports preparing people for a no-deal Brexit. This hardly instils confidence in myself and other business leaders that we will actually come to an acceptable agreement with the EU. My main concern at present is for the public sector and our nation’s largest employers, as they will undoubtedly be hardest hit by the talent gap that is bound to occur over the coming months and years – due to the volume of people they hire. EU workers have already started leaving the UK, not to mention the global firms that have pulled European headquarters out of London and into cities like Frankfurt, taking many of their staff with them. This is primarily occurring in the financial sector, but lower-skilled industries will be equally hit over the coming months. Healthcare, construction, hospitality and seasonal agriculture rely heavily on workers from the EU. I have already heard of many business leaders approaching recruiters to fill vacancies left by EU nationals, who have returned to their home countries where there are more opportunities and better job security. It also worries me to think of the wider impact this exodus will have on the economy, as the amount these workers pay in tax will suddenly disappear from public finances, not to mention the cost implications of sourcing, hiring and training new candidates. Given the lack of guidance from our political leaders, I would advise big businesses to start preparing their talent pipeline immediately. Personally, I am readying myself and my business for a no-deal Brexit and will be pleasantly surprised if we have anything other than this outcome, but well prepared either way. Firstly, employers must assess their current workforce and make a realistic prediction about who is likely to stay or leave in the next 6-12 months. Once you have a figure in mind, you can begin to look at how best to fill it. Could you train people already in your workforce? Can handovers begin to take place with current staff, so that you have plenty of time to prepare for their future absence? What is your budget for filling this gap? Implementing a strong staff retention plan will also help and makes good business sense regardless. 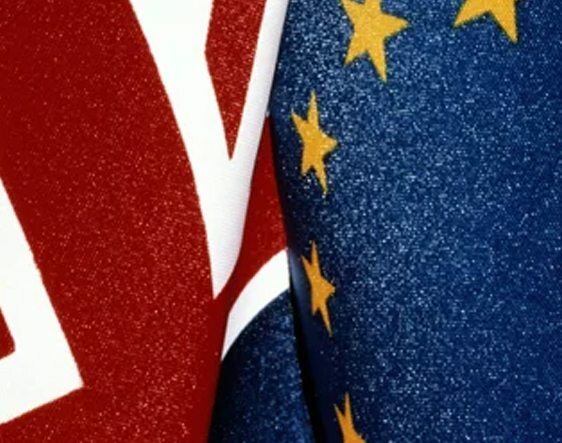 By considering how best to retain talent, employers might find that some EU workers choose to remain in the UK post-Brexit and will also ensure that other workers are less likely to look elsewhere. Employee benefits, flexible working, staff morale and job satisfaction are all key elements of strong retention policies and will stand businesses in good stead during the challenging years to come. Each of these measures will not only help big businesses – and their smaller counterparts – to negotiate the challenging times of Brexit, but they are also best practices when it comes to being a successful and appealing employer. Those who are waiting for May to act decisively could be waiting a while, and given her own party do not back her I doubt that EU leaders will cave to her demands. Employers who show leadership and forward-planning will be best placed to survive and thrive during the coming months and years.